UK 1st edition 1st impression hardback in an unclipped wrap. 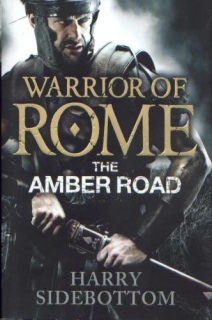 Published by Michael Joseph in 2008. The book is fine and appears unread. Signed on the title page with no inscriptions or dedication. AD 255 – the Roman Imperium is stretched to breaking point, its authority and might challenged throughout the territories and along every border. Yet the most lethal threat lurks far to the east in Persia, where the massing forces of the Sassanid Empire loom with fiery menace. The far-flung and isolated citadel of Arête faces out across the wasteland, awaiting the inevitable invasion. 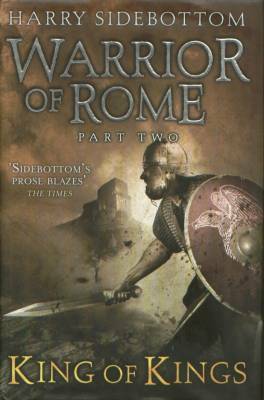 One man is sent to marshall the defences of this lonely city – one man to shore up the crumbling walls of a once indomitable symbol of Roman power – a man whose name itself means war, a man called Ballista. Alone, Ballista is called to muster the forces and the courage to stand first and to stand hard against the greatest enemy ever to confront the Imperium. Published by Michael Joseph in 2009. The wrap is fine with some light edge wrinkling. The book is near fine and very slightly cocked with a pushed head and tail. Edges lightly tanned. Signed on the title page with no dedication or inscription. AD256 - the spectre of treachery hangs ominously over the Roman Empire. The imperium is alive with the machinations of dangerous and powerful men. All the while, Sassanid forces press forward relentlessly along the eastern frontier. The battle-bloodied general Ballista returns to the imperial court from the fallen city of Arete - only to find that there are those who would rather see him dead than alive. Published by Michael Joseph in 2010.. The wrap is fine with some edge creasing. The book is fine with lightly tanned edges and a pushed tail. 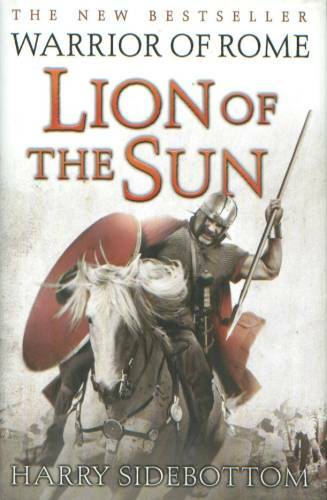 Betrayed by his most trusted adviser, the Roman Emperor Valerian has been captured by the Sassanid barbarians. The shame of the vanquished beats down mercilessly like the white sun, as the frail old emperor prostrates himself before Shapur, King of Kings. Ballista looks on helplessly, but vows under his breath to avenge those who have brought the empire to the brink of destruction with their treachery. One day, maybe not soon, but one day, I will kill you . . . But first he must decide what price he will pay for his own freedom. Only the fearless and only those whom the gods will spare from hell can now save the empire from a catastrophic ending. 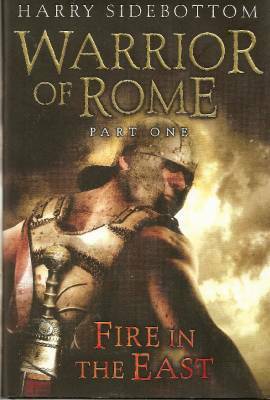 Ballista, the Warrior of Rome, faces his greatest challenge yet. 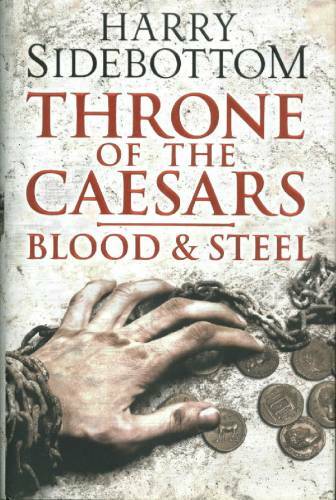 Published by Michael Joseph in 2011. AD262 - the Imperium is in turmoil after the struggle for the throne. Ephesus, Asia's metropolis, lies in ruins, shattered by a mighty earthquake. Its citizens live in fear as the mob overwhelms the city, baying for blood to avenge the gods who have punished them. An even greater threat to the Empire advances from the North. The Goth tribes sail towards Ephesus, determined to pillage the city. Only Ballista, Warrior of Rome, knows the ways of the barbarians, and only he can defeat them. The Goths' appetite for brutality and destruction is limitless and before long Ballista is locked into a deadly bloodfeud, with an enemy that has sworn to destroy him - and the Imperium - at all costs. Harry Sidebottom: The Amber Road. Published by Michael Joseph in 2013.. AD 264 - The Roman Empire is torn in two. The western provinces - Gaul, Spain and Britain - have been seized by the pretender Postumus. To the east, on the plains of northern Italy, the armies of the emperor Gallienus muster. War is coming. Everyone must choose a side. 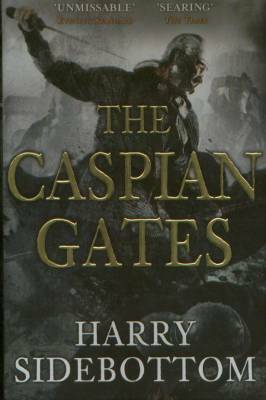 Published by Harper Collins in 2015. The book is near fine with a pushed tail. Slightly cocked. Emperor Maximinus’ reign hangs in the balance. At the helm of an empire that is bleeding manpower and money to sustain his wars in the north, rebellions flare in the far reaches of its territories. In Africa, Gordian the Elder and Younger are proclaimed as the new Augusti. A family descending from the imperial bloodline, they represent a chance for the establishment to take back the empire. 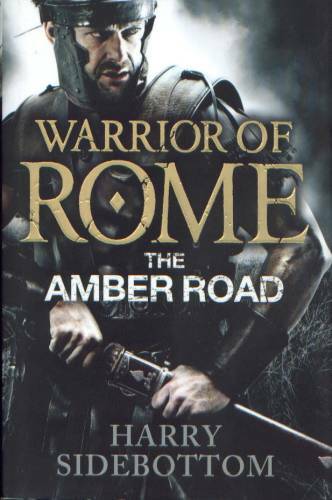 In Rome, the first blood of the revolt is shed when an assassin murders Maximinus’ prefect and announces to Rome that their ruler is dead and the Gordians have taken the throne. The Senate endorses the rebellion: the Gordiani are hailed as Emperors.